Renowned as “God’s own country’ and ‘Venice of the East’, Romantic Kerala Tour unfolds a mesmerizing mélange of historical monuments, sublime backwaters, rich biodiversity, soothing climate, lush green tea gardens, vibrant cultural canvas, aroma of spice gardens, thriving world of rejuvenating Ayurveda and picturesque paddy fields. Natural beauty, exotic culture and enchanting art of living make Kerala a dream of every traveler. During Alleppey houseboat stay & tour, you will find that Kerala people live on and for the water- fishing for mackerel and mullet and above all for Asia's most succulent prawns, using vast suspended nets which Chinese immigrants introduced years ago. Naturally, a Kerala tour, offering a tourist to explore picturesque mountains covered with lush greenery and the backwaters in a beautiful house boat, becomes romantic. On arrival at Cochin/Kochi airport, you will be greeted by a representative of Optima India Tourism and taken to pre-booked Cochin hotel, ensuring smooth & in-time check in. Cochin tour guide, awaiting you at hotel lobby, will be introduced with you. Along with Kochi tour guide proceed to visit prime tourist attractions which include the Dutch Palace, the Jewish Synagogue, St. Francis Church, Santa Cruz Basilica and few other attractions. Traditionally, a commercial and trade centre of spice trade since ancient times and known as ‘Queen of Arabian Sea’, Cochin is popular for its antiques, fabrics and jewellery. You will be taken to marketplace of these specialties of Kochi. 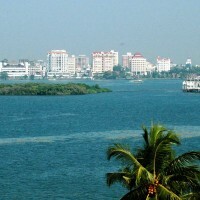 Having visited market, return back to Cochin hotel for relaxing overnight stay. Having delicious breakfast in Cochin hotel, proceed to Munnar, a hill station of Kerala and known for its panoramic view, tea plantations, Tea Museum, lakes and wildlife sanctuary. While traversing 140 kms distance between Cochin and Munnar, one passes through sprawling tea plantations, small brooks and streams, picture-book towns, small brooks and streams, thickly-wooded forests etc, guaranteeing a relaxing holiday. On the way to your hotel, visit Cheyyappara waterfalls, a perfect feast for your eyes. On arrival at Munnar, you will be transferred to Munnar hotel. Enjoy the rest of the day at leisure and return back to the hotel for a comfortable overnight stay. 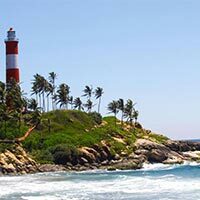 3rd day of Romantic Kerala Tour is dedicated to leisurely sightseeing. Having enjoyed fresh breakfast in the morning, proceed to visit Rajamalai or Eravikulam National Park, spread over an area of 97 sq. km. and home to Nilgiri Tahr, several species of rare butterflies, animals and birds. Post-lunch, in the afternoon, visit Mattupetty Dam and Kundala Dam which offer an amazing landscape to behold. Hereinafter, move to visit Eco-Point, located close-by. Thereafter, move for visiting Munnar town. En route enjoy rare sight of tea plantations. Do visit Tata Tea Museum which reveals the origins and evolution of tea-plantation in this region. Late afternoon return to your hotel and spend evening in leisure. Overnight stay will be in Munnar hotel. Thekkady is an entry point to Periyar Wildlife Sanctuary. Having relished sumptuous breakfast in Munnar hotel, proceed to Thekkady. After 3 hours car journey, reach Thekkady. On arrival at Thekkady, check in at the pre-booked hotel. Today, you will be visiting and indulging in local attractions and activities. 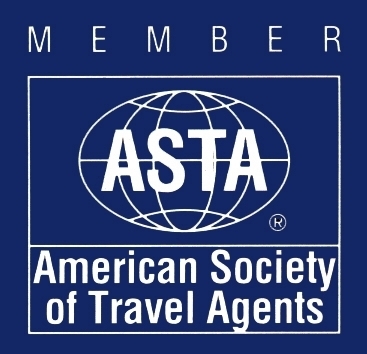 Proceed for a memorable spice plantation tour. Spice plantation tour is on chargeable basis. You will happen to see the exotic crops of cinnamon, pepper, coffee, and cardamom and tea estate. You shall be taken for boating in the Periyar Lake. Thekkady is a well known wildlife sanctuary in Kerala and renowned for wild elephants, wild boar, leopards and of course tiger. Later, you will be cruising on the artificial lake of Periyar wildlife sanctuary to watch and observe the marvelous elephant herds. Overnight stay will be in Thekkady hotel. Alleppey, locally called Alappuzha, is world over known for backwaters and houseboat stay and cruise. Check out from Munnar hotel after having delicious breakfast and proceed for Alleppey. On arrival at Alleppey, you will be directly transferred to reserved houseboat. Get aboard for a houseboat experience in the ‘Venice of the East’, Alleppey. Stay in & cruise of houseboat will be a lifetime experience of your life. Leisurely enjoy the pleasantly scenic pathways, green lagoons, villages, emerald green paddy fields and exotic natural surrounding while houseboat cruises through the backwaters. 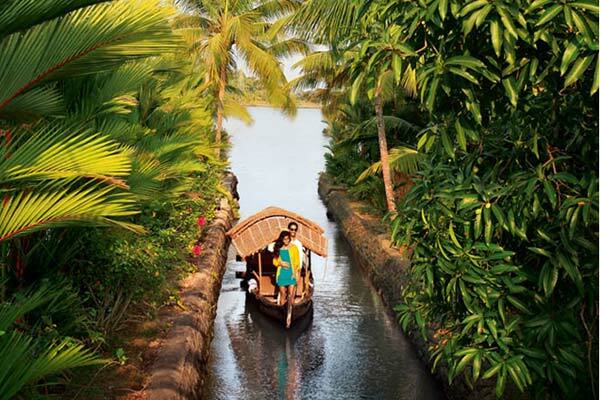 Alleppey is known for its rivers, lagoons and freshwater rivers crisscrossing it. People from various parts of the world throng to enjoy mirror still lagoons, picture book lakesides and long sandy beaches blessed with the water locked district. Your lunch, dinner, breakfast, supper, tea- coffee-snacks, as well as cozy overnight stay will be on the houseboat. Enjoy a relaxed breakfast at your houseboat. Proceed to Cochin (Kochi) airport. 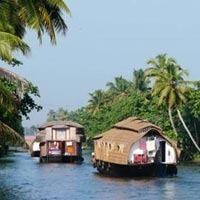 Carry along unforgettable memories of Romantic Kerala Tour and continue your journey back home. Total Meals: 07 (Breakfast-05; Lunch-01 & Dinner-01). Total night stays: 06 (Cochin-01; Munnar-02; Thekkady-01; Alleppey-01). Elephant ride in Periyar Wildlife Sanctuary. Shopping: Cochin: Explore curio shops, small and quaint, for ethnic articles like colorful bead jewelry, mat and bangles made of coir, wood, bamboo, shells, brass, ivory and sandalwood. Alleppey: : As ‘Welcome Drink’ tender coconut; fish fry and Banana Fry.